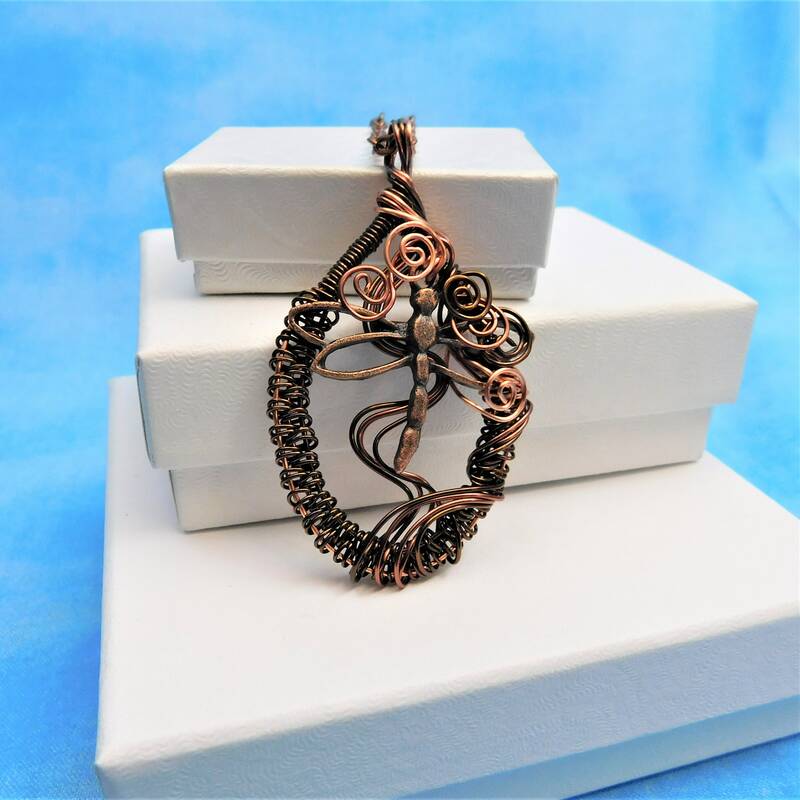 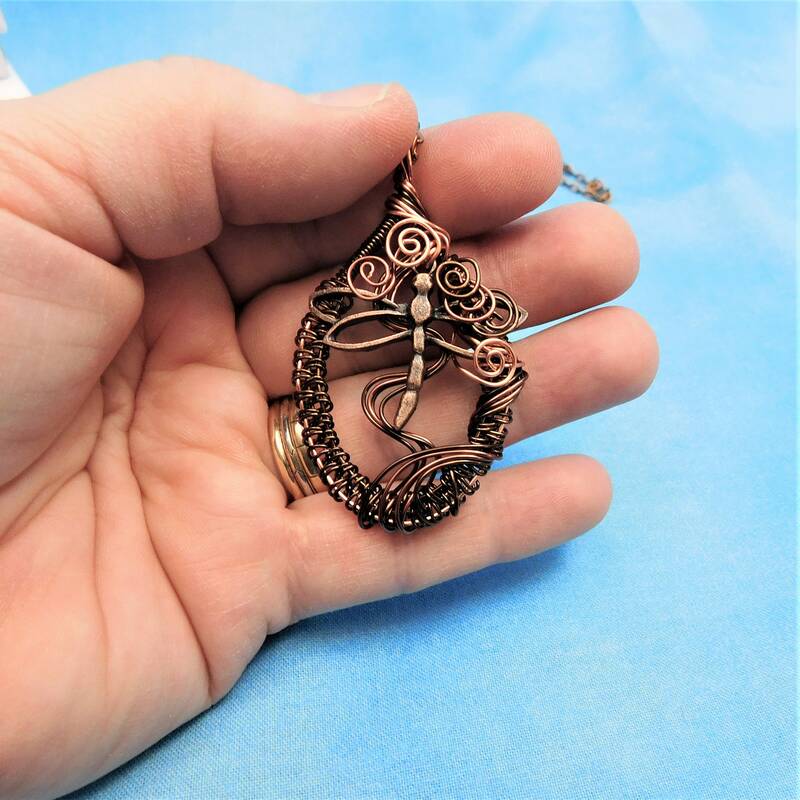 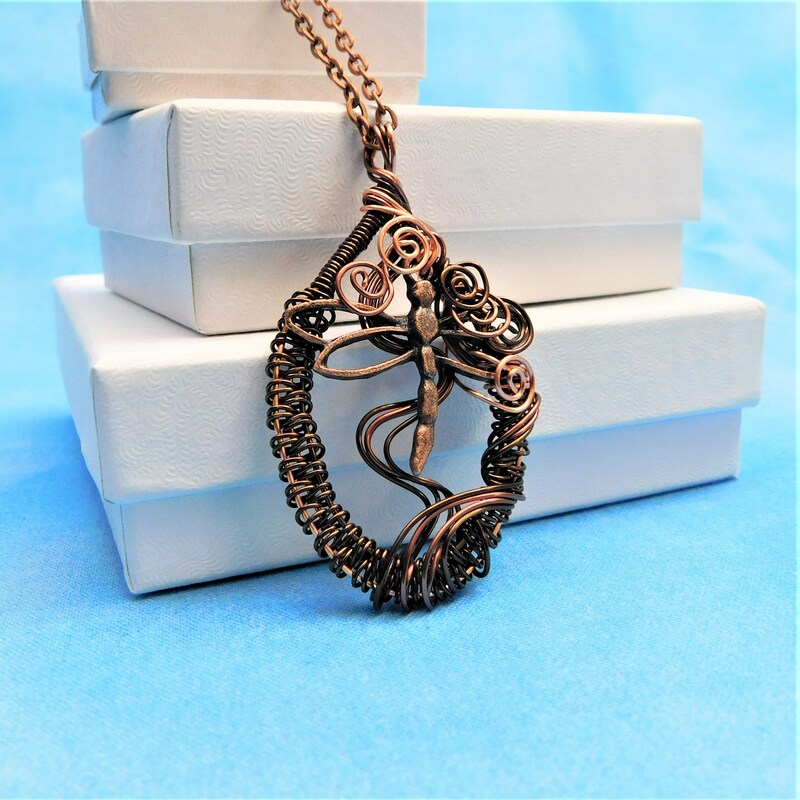 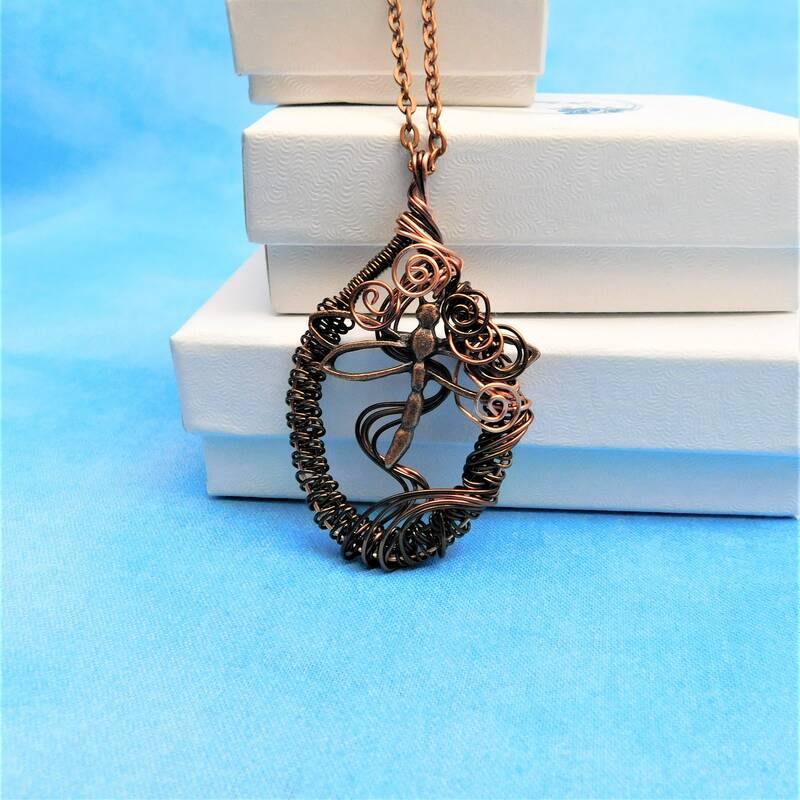 A copper dragonfly rests in an artistically hand woven frame of various shades of copper wire, adding dimension and interest. 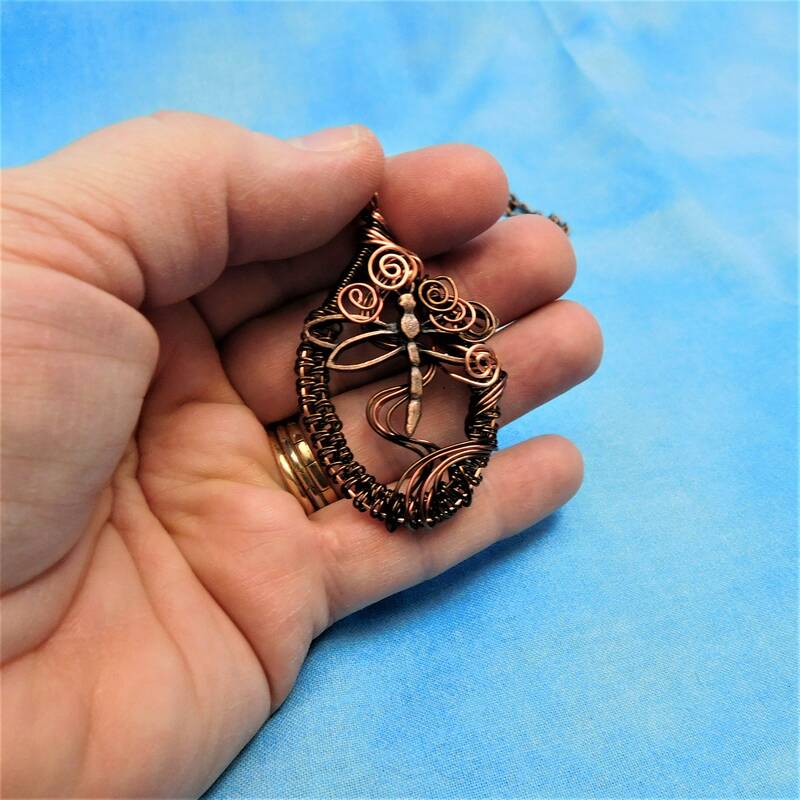 The dragonfly seems to be interested in a bouquet of hand wired swirls in the shape of a flower at the top of the frame. 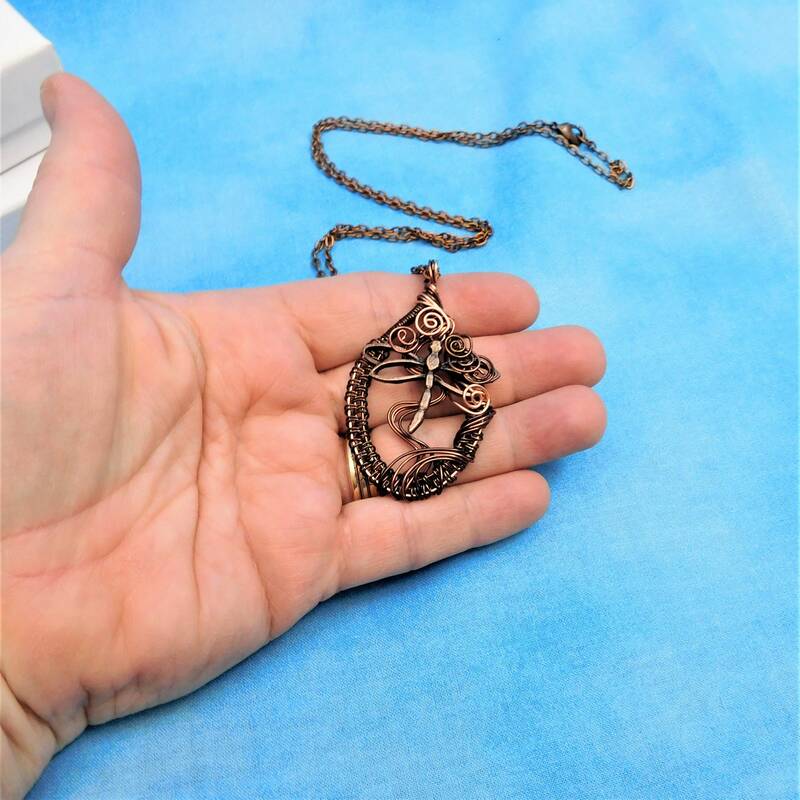 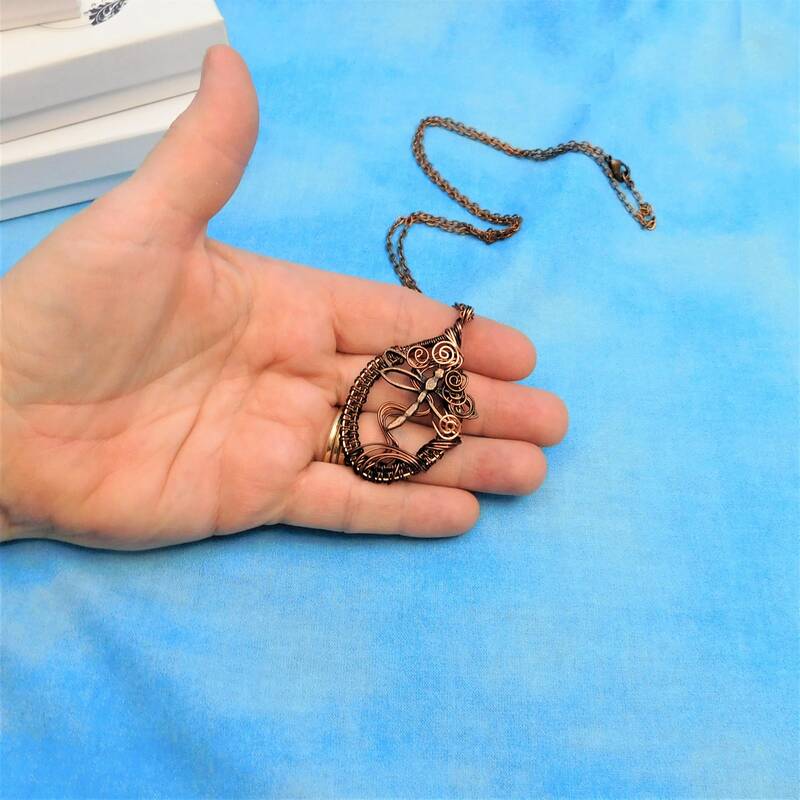 This is a one of a kind, artisan crafted pendant, perfectly suited for a one of a kind lady. 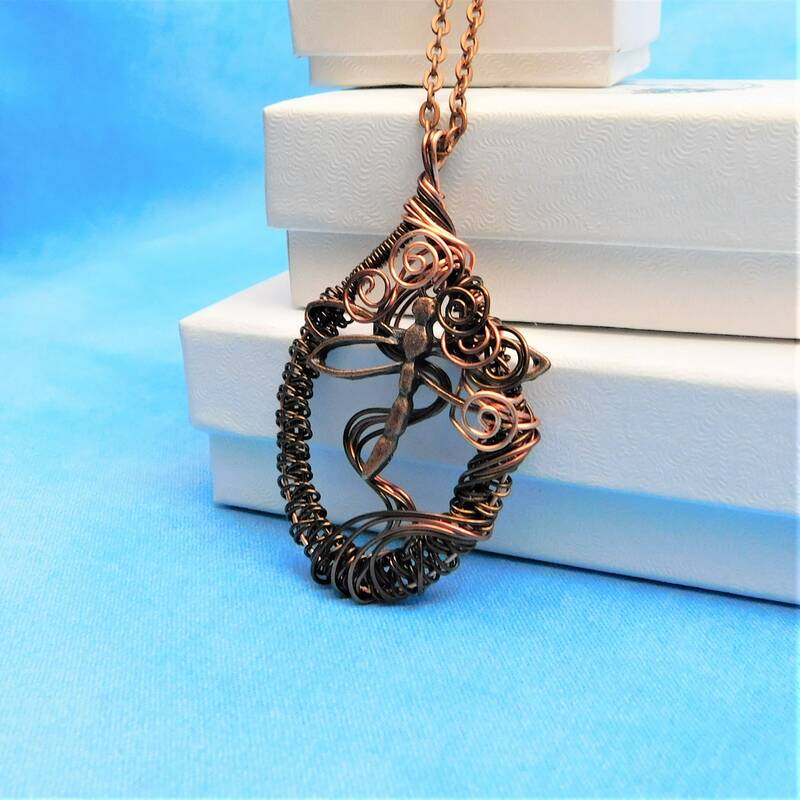 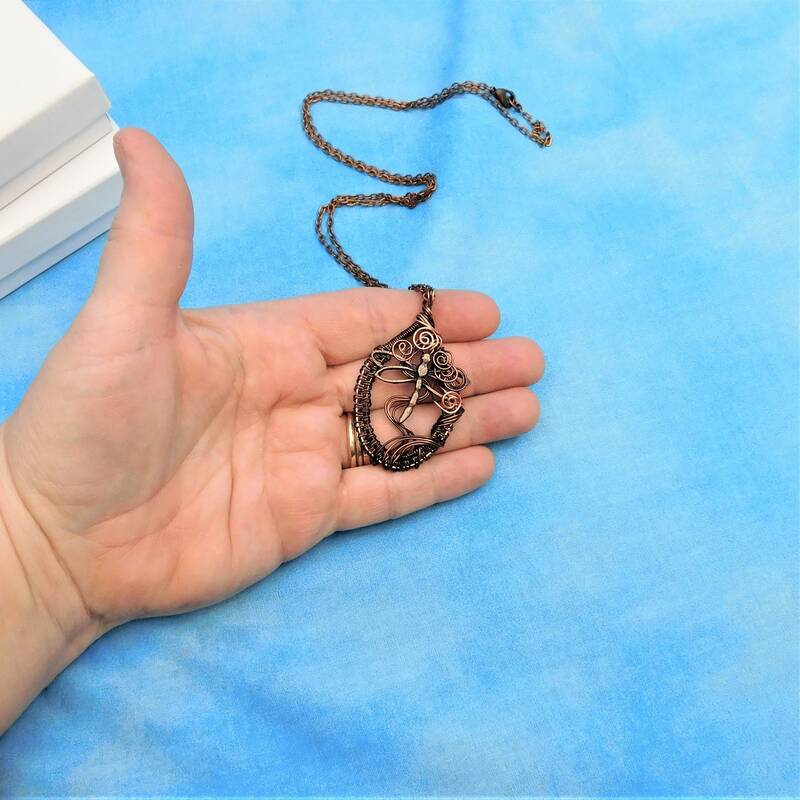 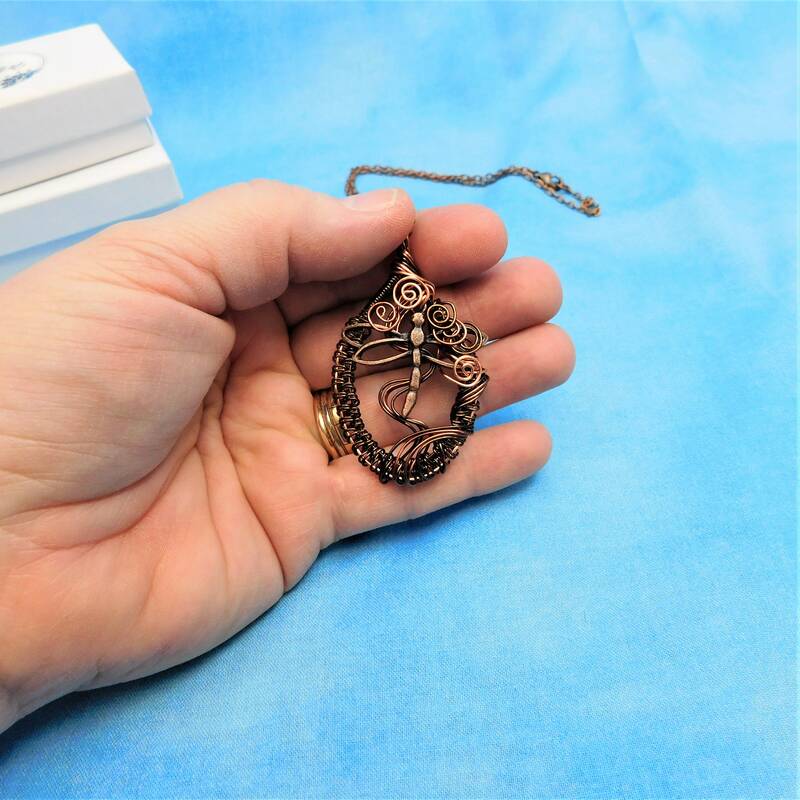 The frame measures 1 1/2 inches long by 1 1/4 inches wide at the widest point, and comes with a FREE coordinating chain with lobster claw clasp, measured to your preferred length.